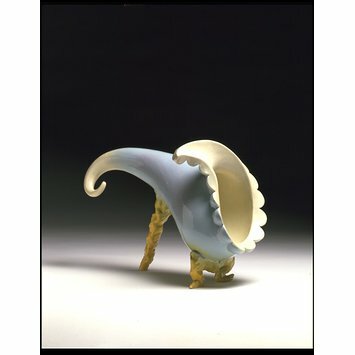 This jaunty, frilled 'horn of plenty' form recalls ornamental ceramics of the 18th century, and later mass-produced versions of these elite objects. It reflects Richard Slee's interest in ornaments and their place in people's lives. The highly-finished surface, with its subtle shading of one glaze into the next, contrasts wittily with the roughly modelled legs, which have a provisional, spontaneous appearance. 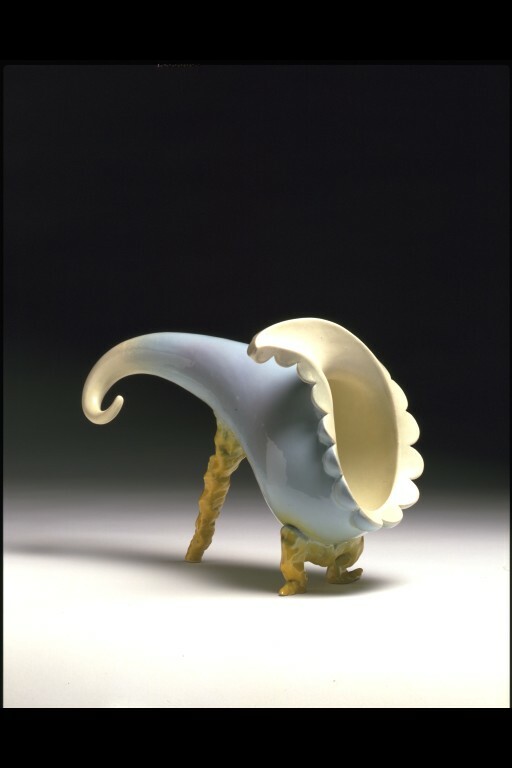 Cornucopia form with a frill at the mouth and a spiralling tip, glazed in blue on the outside and white on the inside, standing on three roughly-shaped legs glazed in yellow. 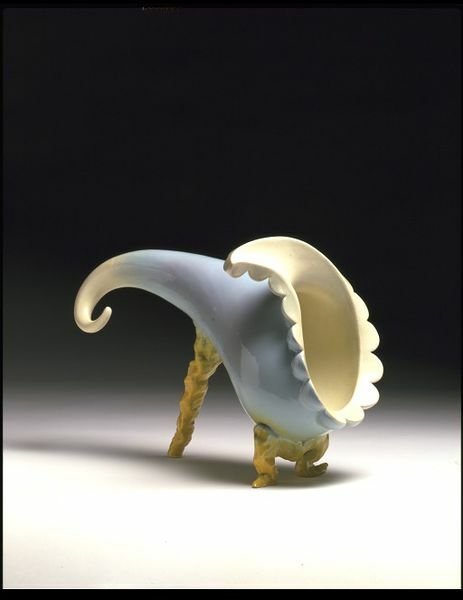 Earthenware cornucopia form on three legs, Richard Slee, 1983.